BEIJING (Reuters) -- Volvo, with help from its Chinese owner Zhejiang Geely Holding Group, plans to start exporting Chinese-made cars to the United States and Russia as early as next year, said a Volvo executive, who requested anonymity because he is not authorized to speak with the media. The senior executive said the automaker would start exporting a long-wheel-based version of the S60 sedan called the S60L, to the United States and the XC90 SUV to Russia as early as the end of next year. Volvo will eventually export about 10,000 S60Ls and a few thousand XC90s each year, the executive said. 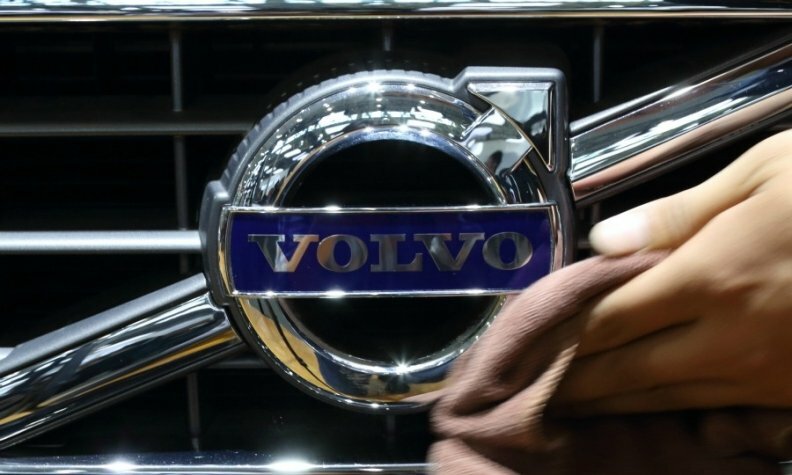 Volvo felt it could minimize foreign exchange risks by adding China as a production base, despite consumer concerns about the quality of made-in-China products, the executive said. "The dollar and the yuan have the best relationship, a more stable relationship than the euro and the dollar," he said. Volvo's global head of media relations David Ibison confirmed that the company would start exporting from China although he said the timing and target markets had yet to be decided. Volvo CEO Hakan Samuelsson told the Automotive News World Congress in January that Volvos produced in China will be exported to the United States "fairly quickly." Volvo aims to use two assembly plants in China to export to the United States, Russia and possibly other markets such as Southeast Asia. One plant in the southwestern city of Chengdu began producing the S60L sedan late last year, and the second is ramping up production of the XC90 in the northeastern city of Daqing. Geely's strategy for Volvo is being closely watched as a possible model for other Chinese companies that have had limited success digesting and managing major consumer brands, following multi-billion-dollar foreign acquisitions in recent years. Geely's purchase of Volvo from Ford Motor Co. four years ago surprised many in the auto industry, who doubted that a relative newcomer could turn around the money-losing 87-year-old Swedish business while protecting its famous brand. Yale Zhang, head of Shanghai-based consulting firm Automotive Foresight, said Volvo's outlook under the ownership of Geely and its founding chairman Li Shufu now looked "impressive," as Chinese demand for entry-level luxury cars soared. "Chairman Li has been so patient with Volvo and it's finally paying off," he said. Investors in other Chinese firms that are struggling to manage foreign consumer brands are intensely interested in how Li, dubbed the Henry Ford of China, handles Volvo. Lenovo Group Ltd., for example, had trouble maintaining market share for years after its 2005 purchase of IBM's personal computer business. Another Chinese carmaker, SAIC Motor Corp, which bought roughly half of South Korea's Ssangyong Motor Co. in 2004 was forced to sell its stake after Ssangyong's business slumped in the wake of the financial crisis of 2008. The executive said Volvo sales in China were likely to jump by almost 50 percent on-year to more than 90,000 vehicles in 2014, making the country its biggest market ahead of the United States. That is well above the 80,000 cars Volvo initially projected to sell this year. Ibison said that although Volvo's China sales had grown 35 percent year-on-year so far this year, selling 90,000 cars in 2014 could be "a step too far." The carmaker's focus is to make sure "our growth is profitable and sustainable," he said. The company sold a total of 61,146 vehicles in China last year, up 46 percent from 2012. This was just 77 vehicles behind deliveries in the United States, which dropped 10 percent to 61,223. "We are satisfied with the progress we've made so far in China," the executive said. Volvo's two plants in China should be able to achieve full capacity of about 250,000 vehicles a year by about 2018, helping to drive domestic sales, he added.